Editor’s Note: This a reposting of the Tek Pulse, a regular blog roundup of the latest and greatest science news McKenzie Worldwide puts together for our client Tektronix. Blog features like this are an affordable way to build your company’s social presence and drive traffic to your website. Drop us a line to learn how we can do the same for you. 1. Can the donut-shaped magnet ‘CAPPuccino submarine’ hunt for dark matter? 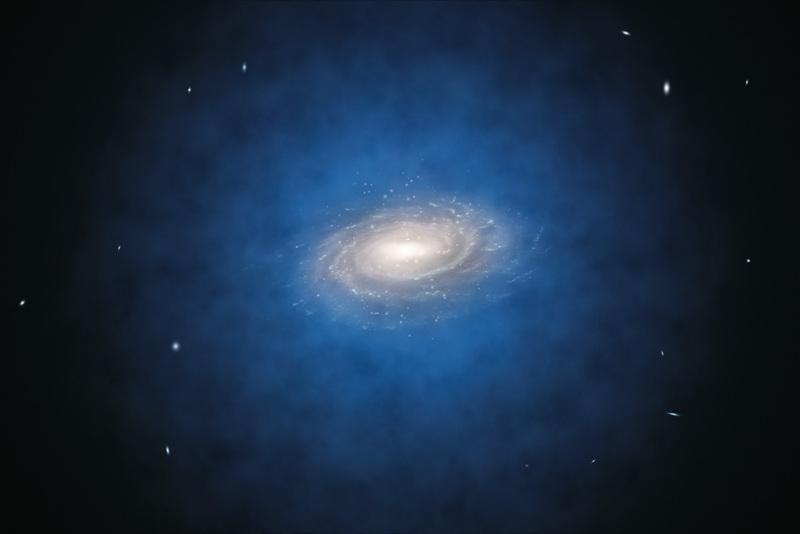 Institute for basic science, January 23, 2017, EurekAlert – Scientists have taken a big step forward in the hunt for dark matter. Everything we see accounts for just four percent of the Universe, the rest is dark energy and dark matter. However, we have never been able to directly detect dark matter. One possible dark matter particle is an axion, but special technology is needed to catch their presence. Currently, scientists in South Korea are in the process of building such technology, using haloscopes. Haloscopes contain resonant cavities immersed in an extra-strong magnetic field. The magnets in the haloscopes are the most important feature and in order to find the axion, the team had to develop a new kind of magnet shaped like a donut, called toroidal magnets. The next step is to develop and prototype new machines in the hunt for dark matter. For the full article check out EurekAlert. 2. New design strategy for longer lasting batteries, Amanda Morris, January 23, 2017, TechXplore –With every charge and discharge cycle on a smartphone its battery capacity decreases, eventually rendering the device useless. In most cases, this degradation is due to the cathode in the device. Now a professor at Northwestern’s McCormick School of Engineering has developed a solution. He created a computational design strategy that can pinpoint optimal materials to coat the cathode in lithium-ion batteries, thus extending the device’s battery and its life. The coatings could provide a barrier around the cathode to prevent degradation from hydrofluoric acid or may react positively with the acid so there’s none left to harm the cathode. The bottom line is, using computation as a design strategy quickly narrows down the potential materials to a manageable number to test experimentally, which will result in the accelerated development of many new materials in the future. For more information visit TechXplore. 3. Highly entertaining: Algorithm watches movie trailer and identifies objects in real time, Heather Hamilton, January 23, 2017, Electronic Products – Recent improvements have increased the speed and accuracy that algorithms can successfully identify objects. Now, a new algorithm called Yolo-2 (Yolo is an acronym for You Only Look Once) can identify multiple objects within the same image. A team of researchers developed and tested their algorithm on the “Wolf of Wall Street” movie trailer with a threshold of .15, meaning the algorithm will only react to objects detected with a confidence of 15 percent or higher. The team claims that Yolo-2 has many advantages over similar systems. For instance, it can look at the entire image so its predictions are informed by global context in the image and Yolo-2 is 100 to 1,000 times faster than other algorithms. For the full story check out Electronic Products. 4. Ultrafast Camera Captures ‘Sonic Booms’ of Light for First Time, Charles Q. Choi, January 20, 2017, LiveScience – A new superfast camera has captured the first ever video of sonic booms. Sonic booms are cone-shaped wakes of light or “Mach Cones.” Sonic booms are created by events like an aircraft flying at supersonic speeds. To capture video of the event, an optical engineer and colleagues at Washington University in St. Louis developed a “streak camera” that could capture images at speeds of 100 billion frames per second in a single exposure. There are other imaging systems that can capture ultrafast events, but they require hundreds, or even thousands, of exposures before they can see them. This new system, on the other hand, can record such events in one exposure. The team says their technique could be useful for recording events in complex biomedical contexts, such as watching neurons fire and to image live traffic in the brain. For more information visit LiveScience. 5. And lastly, the most popular Tektronix download of the week goes to – Worldwide Spectrum Allocations Poster. For all the International Frequency Allocations, right at your fingertips, download this colorful poster. With more than 20 years of experience in public relations and marketing, Kelly is a highly-capable communicator and leader, with an eye on building relationships.